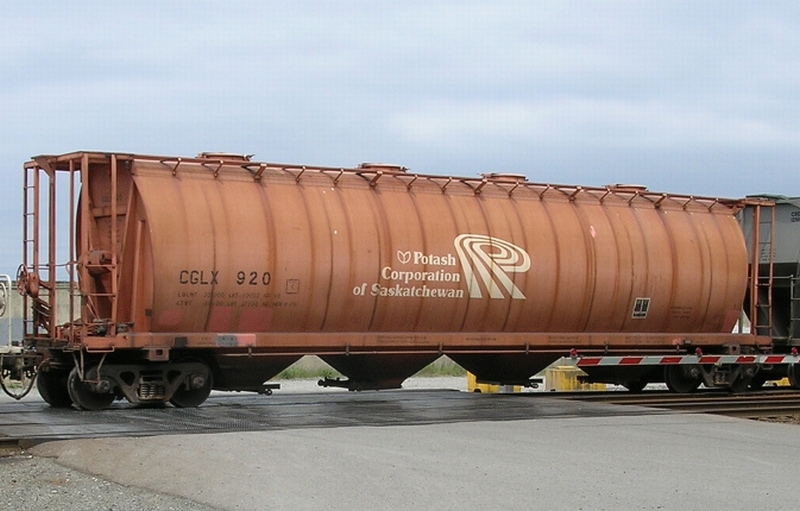 In the 1970s, Canadian National & Canadian Pacific developed a concept for a standard 4550 cubic-foot 4-bay cylindrical hopper. 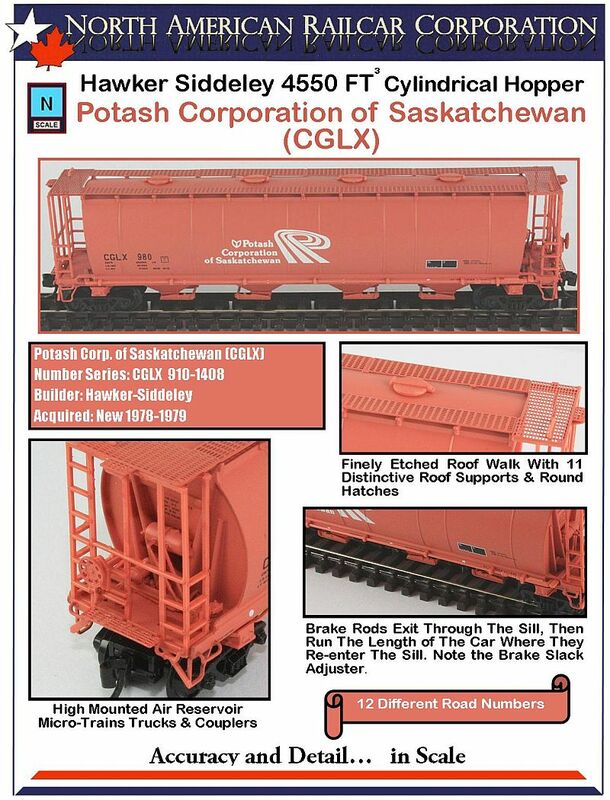 The basic design of this hopper was developed into two car types, one for grain and similar consistency products and another for potash, dry chemicals and fertilizers. 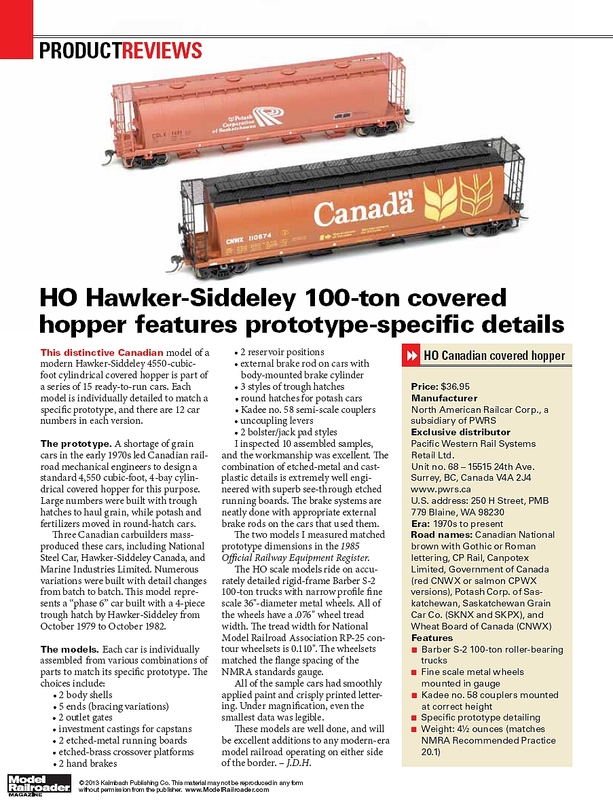 or a complete list of all the different versions and explanations of the differences on the Hawker Siddeley 4550 cu ft Cylindrical Hopper go to this link: Click Here.